It’s time for a public dabate on decriminalising medicinal cannabis use. Medicinal cannabis is scientifically proven to be effective in the treatment of cancer, chronic pain, epilepsy, and a number of other illnesses. For far too long, patients have been denied access to this amazing gift of Mother Nature. This is causing unnecessary suffering among hundreds of thousands of patients who are being let down by the system. Under current law, patients who use medicinal cannabis are classified as criminals. Medicinal cannabis use needs to be decriminalised. But, it is now obvious that only sustained public pressure will make that happen. Within the last two years, two opportunities to give all patients unrestricted access to medicinal cannabis were deliberately sabotaged. Firstly, the Cannabis for Medicinal Use Regulation Bill 2016 aimed at legailising medical cannabis was killed by the Joint Oireachtas Health Committee. Secondly, when asked by the Minister for Health to provide expert scientific advice in relation to the merits of medicinal cannabis, the Health Products Regulatory Authority (HPRA) rejected any notion of making medicinal cannabis available to the vast majority of patients that need it. It advised that only synthetic (pharmaceutical) cannabis products be made available to select patients with multiple sclerosis, epilepsy, and intractable nausea and vomiting caused by chemotherapy. Even then, each patient will need a ministerial licence to be able to access the products. This comes nowhere near what is required; namely, unrestricted access to full extract cannabis for all patients. In reality, both the politicians and the HPRA put political and pharmaceutical industry interests ahead of the rights and wellbeing of patients. Let’s take a closer look at how both bodies failed patients. the kettle calling the pot black! Approximately 6,000 deaths annually are attributable to smoking and exposure to second-hand smoke. (Report: The State of Tobacco Control in Ireland 2018). Yet, tobacco is not illegal? Over 1,000 deaths per year are directly attributable to alcohol (around 500 of these from alcohol related cancers). (Health Research Board). Yet, alcohol is not illegal? 161 deaths were among the 3,264 reported cases of new adverse reactions associated with the use of prescription medications in Ireland in 2016. Yet, prescription medications are not illegal.? It would be wrong, in a free country, to deprive adults of their right to consume alcohol or tobacco, even though they pose health risks. Isn’t it equally wrong to deprive them of their right to consume a medicine that is relatively risk free and improves health? Aren’t legislators supposed to enact (and support) laws that benefit the population as a whole? Why then, are large numbers of citizens who use medicinal cannabis treated as criminals under the law? “It is legal to kill a man to save your own life. whose interests does it really serve? * The 40,000 people who are diagnosed with cancer every year; many of whom would benefit from the addition of medical cannabis in their treatment. There is a substantial body of scientific evidence, along with countless patient testimonies supporting the benefits of cannabis in treating cancer. * The 800,000 people who suffer from chronic pain, of whom 40% do not get relief from existing authorised pain killers. We shouldn’t be surprised. According to Richard Boyd Barrett TD, the HPRA is 77% funded by the pharmaceutical industry. The recommendations in its report clearly show whose interests it serves. recommendations in relation to cancer. The HPRA says “There is currently no evidence for a benefit in the treatment of cancer, despite anecdotal reports to the contrary”. This claim is absolutely bizarre. It is blown out of the water by both the number of scientific studies and the numerous testimonies of real people showing the benefits of cannabis. There are hundreds of studies showing that cannabinoids are effective against many cancers, as well as reducing the side-effects of conventional cancer treatments like chemotherapy and radiation. For example, A study published in the US National Library of Medicine outlined multiple studies proving the effectiveness of cannabis on prostate cancer. 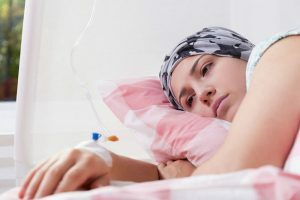 A study published in the US National Library of Medicine, conducted by the California Pacific Medical Centre determined that cannabidiol (CBD) inhibits human breast cancer cell proliferation and invasion. They also demonstrated that CBD significantly reduces tumour mass. + Cannabinoids may cause antitumor effects by various mechanisms, including induction of cell death, inhibition of cell growth, and inhibition of tumor angiogenesis invasion and metastasis. + Cannabinoids appear to kill tumor cells but do not affect their nontransformed counterparts and may even protect them from cell death. There are thousands of patient testimonials to the life-saving benefits of cannabis oil. 7-year-old Mykayla Comstock was diagnosed with intermediate risk T-Cell acute lymphoblastic leukemia in the summer of 2012. Here’s a link to more testimonials. How can so much anecdotal evidence be dismissed out of hand? Cash Hyde was first diagnosed with cancer at 20 months. Along with chemotherapy and radiation – as well as brain surgery when he was 2 years old – cannabis was a key component of his cancer treatment: the medical marijuana helped him sleep and helped him eat. Cancer-free, Cash began to get sick again and was found to have a stage IV growth. This time, the tumor progressed really fast, but a change in Montana State law led to the family being without a source of medical marijuana for 73 days. He had beaten cancer twice, but its third appearance was too much. He died in his father’s arms at the family home in Missoula, Mont. The hope is that Cash’s suffering and passing will highlight the medical benefits of marijuana, and the absurdity of creating barriers to its access, a family friend said. After all, the plant brought relief to a young child whose only memories were of being terminally ill – what, exactly, is the harm? In its report, the HPRA says “The HPRA considers that current evidence does not support the use of cannabis in the treatment of chronic pain. Chronic pain is an important issue for cancer patients. There is a lot of evidence to support the use of cannabis in the treatment of chronic pain. The evidence is strongest for the efficacy of medicinal cannabis in the area of pain according to Professor Mike Barnes consultant neurologist, professor of neurological rehabilitation and author of the authoritative report on medicinal cannabis for the UK Parliament, and Professor David Finn, who has spent 16 years researching the area of medicinal cannabis. Why not allow natural full extract cannabis? For the cancer patient, cannabis has a number of potential benefits, especially in the management of symptoms. Cannabis is useful in combatting anorexia, chemotherapy-induced nausea and vomiting, pain, insomnia, and depression. Cannabis might be less potent than other available antiemetics, but for some patients, it is the only agent that works, and it is the only antiemetic that also increases appetite. During 2016, the HPRA received a total of 3,264 reports of new adverse reaction associated with the use of medicines (that have HPRA approval). Of these, 161 patients were reported to have died while on treatment. Ironically, the highest number (45) involved cancer drugs. The HPRA says that in many of these cases, significant underlying illness, disease progression and other factors contributed to the deaths. The HPRA ignores the fact that there is no evidence that the side effects of medicinal cannabis are anywhere as serious as the effects of drugs that are toxic, that kill people and that are already authorised and sold in chemists countrywide. Professors Mike Barnes and David Finn say the side effects of medicinal cannabis products – and they acknowledge there were some – were moderate. About 60% of GPs, the people who do not regulate and do not sell medicine but who actually prescribe it and are medical professionals, favour the legalisation of cannabis for medicinal use. A 2018 study published in the Irish Journal of Medical Science showed that 88.54% of patients also agree that cannabis should be legalised for chronic pain medicinal purposes and that they view it as a reasonable pain management option. Doctors will be able to prescribe medicinal cannabis by the autumn of 2018 according to the British Home Office. On March 29 2017, the Argentine senate approved the use of Cannabidiol for medical reasons. The Australian government legalised growing cannabis for medical and scientific reasons on 24 February 2016. Medical cannabis can now be prescribed in all Australian states. As of January 1, 2018, GPs in Denmark have been able to prescribe medical cannabis to certain patients as part of a four-year trial. The country decriminalised cannabis in 1953, and has famously allowed the sale of the plant for recreational uses in so-called “coffee shops” since 1976. In 2016, the country legalised cannabis for medical uses. Thailand’s Governmental Pharmaceuticall Organisation (GPO) has begun researching how to develop medicines from marijuana in acknowledgement of evidence that the outlawed substance has health-enhancing properties, according to a September, 2018 report in The Nation (Thailand). It is also seeking to initiate a legal amendment that would permit cannabis for medicinal use, possibly by May next year. It’s the responsibility of legislators to enact laws that benefit society as a whole. It’s time they did just that for the hundreds of thousands of people who need medicinal cannabis to treat illness or relieve pain. Patients are suffering enough without being treated like criminals. It’s time to decriminalise medicinal cannabis use. For more information please see Cannabinoids page on this site. – Attitudes of Irish patients with chronic pain towards medicinal cannabis. Rochford, Ciaran and Edgeworth, Deidre and Hashim, Mohammad and Harmon, Dominic (2018) Attitudes of Irish patients with chronic pain towards medicinal cannabis. Irish Journal of Medical Science , Early online . This entry was posted in News on October 9, 2018 by T0mmy. CANCER sufferers will be given greater access to a pioneering treatment as a leading centre looks to expand in Ireland. Proton beam therapy, which uses positively-charged particles to destroy cancerous cells, is not currently available in the country. But specialists from the Proton Therapy Center in Prague, Czech Republic say they hope to “bridge the gap” in cancer care by setting up a new network of proton therapy pioneers. Medical director Dr Jiri Kubes says specialists will be looking to share their experiences of proton therapy with local professionals and make access to the technology smoother. At the moment, cancer patients looking to explore their proton therapy options face travelling to Europe or the US. Traditional treatment options for prostate cancer – the most common male cancer in Irish men – can often lead to erectile dysfunction and urinary incontinence. John O’Kelly, 68, from Limerick, was diagnosed with prostate cancer two years ago after experiencing a sudden and frequent need to visit the bathroom. This entry was posted in News on December 3, 2017 by T0mmy. New Study Delivers Another Black Eye for Chemotherapy. This entry was posted in News on July 22, 2017 by T0mmy. Colorectal cancer patients who improve their diet and lifestyle survive longer with a 42 per cent reduced risk of death than those who do not make the changes. The results, from an American Cancer Society study(1) presented at the 2017 Annual Meeting of the American Society of Clinical Oncology showed survival extension and ‘cure’ way beyond that provided by chemotherapy and even the new breed of ‘better’ drugs, belittling claims frequently made by Pharmaceutical companies. The American Cancer Society produced a booklet in 2012 entitled ‘Nutrition and Physical Activity Guidelines for Cancer Survivors’. This research was an attempt to see if the guidelines did actually make a difference! The study followed almost 1000 former patients for more than 7 years. Those who stuck most closely to the guidelines, had a staggering 31 per cent less recurrence and 42 per cent lowered death rate! Realising the enormity of the results, the researchers were quick to point out that ‘This does not mean cancer patients should give up on the drug treatments simply for a healthier life style of exercise and nutrition’’. This entry was posted in News on May 28, 2017 by T0mmy.